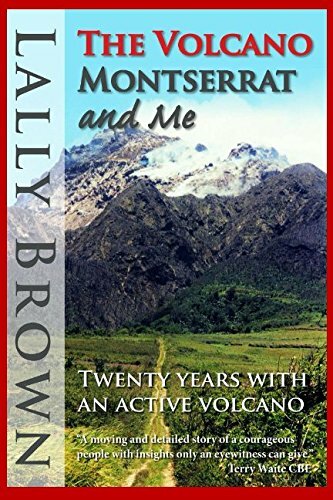 One of my most memorable—and hilarious—travel experiences took place while I was visiting the Caribbean island of Montserrat in the late 1980s. My mother and I were (and still are) both tremendous fans of the rock band The Police, and we knew that the band had recorded two albums on the island, at George Martin's Air Studios. We read an article about Montserrat in a Caribbean travel magazine, and it convinced us we should visit the island not just as a "musical pilgrimage" but to see its unique beauty for ourselves. Photos on this page are from the author's personal collection. The music video below, filmed on Montserrat in Air Studios and around the island, was part of what encouraged us to visit the island. The travel article we'd read about Montserrat mentioned a windsurfing instructor named Danny, who had supposedly given lessons to many of the island's visiting rock stars. We were hoping we could find him ourselves to hear some of his stories and recollections first-hand. Indeed, we found him on the beach at Old Road Bay within hours of our arrival on Montserrat. (We were staying at the nearby Vue Pointe Hotel.) He was more than eager to share his experiences and show us photographs of himself teaching Sting and other musicians from Rush, Dire Straits, and Duran Duran how to windsurf. It had definitely become a point of pride to him—and a major selling point to his windsurfing business. We were originally going to stay on Montserrat for only three days, as a side trip from our annual vacation to nearby St. Kitts. But before the end of that first day on the island, my mother proposed we could extend the trip if I wanted to take windsurfing lessons from Danny myself. Of course I eagerly said yes! Not only did it look like tremendous fun, but I could then go home and brag to my friends that I'd learned to windsurf from the same person who'd taught Sting, one of my musical heroes. My lessons began the next morning, and suddenly it wasn't that much fun anymore. Just finding my balance on the surfboard proved to be a terrible challenge. One of the first things I learned was how to fall off the board properly—going backwards, to avoid hitting my head. Every time I attempted to lift the sail and get a good grip, I lost my balance. After a few hours I was sore, tired, and frustrated. Danny said that was normal, but it still seemed as though I should be making better progress. Danny getting the board ready for me to try to stand on...again. At least we were having fun exploring the rest of the island, though! Danny had appointed himself our unofficial tour guide by this point, taking us to some of the restaurants and bars where the island's visiting rock stars liked to hang out. I remember The Village Place, in particular, where we tried one of the local specialties: Mountain Chicken. (I'll leave it to you to click on the link to find out what it actually is...) Montserrat was a beautiful and lush island, relatively unspoiled by tourism and with a rich culture quite different from other islands we'd visited in the past. The next morning I began my lessons once more, not expecting to do much better. My legs and arms were covered with bruises from my falls. All I wanted to do was to be able to get on the board, properly hoist the sail, and learn how to catch the wind to travel a short distance. We were only a short distance out into the calm waters of Old Road Bay, which was nearly deserted except for my mother watching us from the beach. Then it happened—I finally managed to lift the sail, keep my balance, and catch a short gust of wind. It felt wonderful! I loved to swim, and here I was skimming over the water with more speed and power than I'd ever had before. I only made it a short distance, but it was a genuine improvement. Danny encouraged me to keep at it. Danny hadn't shown me how to turn around yet. I had a moment of panic. I couldn't tell how deep the water was below my board, so I didn't want to jump off and potentially hurt myself on the rocks and coral. I managed to lower myself carefully down to sit on my board and wave toward the shoreline for help. Fortunately, Danny was already speeding out on a surf board himself. My mother was also swimming out as fast as she could, but it was going to take an awful long time for her to reach me this far from shore. My initial panic faded quickly as I sat and waited for rescue. Danny was laughing by the time he reached me. He hadn't expected me to get so good, so fast, either. He hitched his paddling board to the back of the windsurf board and "towed" me in to shore. My mother had given up on reaching us by then, but said how she had panicked when she saw me go out such a distance and was afraid I'd hit the stronger currents of the deep water. That was enough windsurfing for me, that day. The next morning the first thing Danny did was teach me how to turn around. By the end of my fifth day of lessons, I was doing fairly well sailing around the bay, cruising along the shoreline while being careful not to go out quite so far again. I remember gliding along slowly, on a weekend afternoon where the beach was much more crowded with island locals. 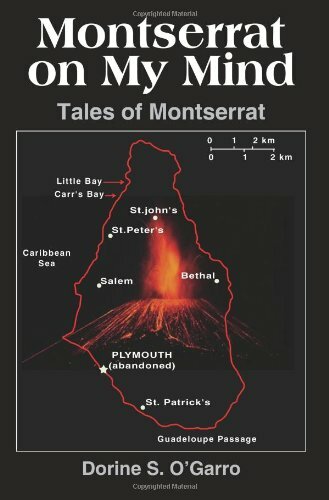 The people of Montserrat, we'd noted, were overall much more reserved and "cool" than those of other islands, at least until you got to know them better. Yet when eventually I did fall off my board (again) there were now calls of support, even a little applause, that I'd been doing so well. We eventually departed Montserrat after spending a week there, with a determination to return again as soon as we could. The black sand beach at Old Road Bay. This was 1988, as I recall. However, this wonderful place was to suffer several terrible natural disasters soon after our second visit. In 1989—not long after we'd returned from our second trip—the island was in the path of Hurricane Hugo. The hurricane damaged nearly every home on the island and left 90% of the population homeless. I was off to college the following year and too busy with studies to travel for some time, but we intended to go back at some point as the island began to rebuild from the hurricane damage. 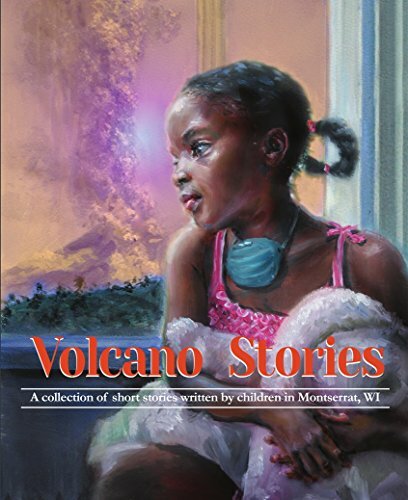 But then, in 1995, the long-dormant Soufrière Hills Volcano on the island erupted—the first eruption in the 20th century on the island. The capitol city of Plymouth was evacuated and over several weeks was completely buried under pyroclastic flows and mud flows. Activity continued for 60 weeks, completely destroying many settlements (and the island's lone airport) and leading to the abandonment of many others. George Martin's Air Studios had to be abandoned, being in what became the "Exclusion Zone", too close to potential volcanic activity. Obviously the island's tourism industry was completely destroyed, though it has slowly been rebuilt with new lodgings (in what is now considered the safe area of the island), new beaches, and a chance to observe nature's beauty and destructive capacity. Some day I would love to return to Montserrat, to see the changes there - and what remains of the places I remember. But I also know it would be a hard trip to take, knowing how much is gone, never to be rebuilt. Still, the island's story and history is fascinating and what nature destroys, it also can rebuild, in time. And no matter what, these will always be some of my favorite travel memories and I feel grateful for having had the chance to see the island when I did. Your mother gave you some lasting gifts in a love for travel and exploring new cultures. It certainly is very sad to see an entire town wiped out by the volcano. I think you should take a trip back and maybe you will find Danny once again. You could even get back up on a board and pick up where you left off. 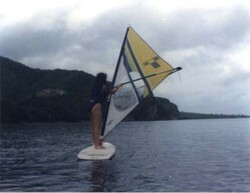 Or did you continue to windsurf after your first trip? It was definitely a great experience and one of my really treasured memories—as well as a wonderful cultural experience, too. My mother took me to the Caribbean a lot when I was a teenager and it wasn't to just stay at fancy resorts; she really wanted me to learn about their cultures, to respect them, and also to understand how life was different in other places around the world. And Danny certainly knew how to market his connections with rock royalty, lol! He gave us the photo as he only could get some small size prints of it done, my mother was able to get some 8x10-size prints done to send him. I wonder now where he ended up, along with some of our other friends we made on Montserrat. I see the same couple is still running the Vue Pointe Hotel now that it's re-opened and it really makes me want to go back again! How wonderful that you have these memories of Montserrat before all the damage was done. I LOVE those pictures! Sting...wow! And your instructor gave you that photo? Pretty amazing. I can relate to your mother trying to swim a ridiculous distance to save her daughter - I would do that too for my children. It must have been a wonderful feeling to get around on that board. I see windsurfers here in Florida jumping over the waves just off the beach and it's such fun to watch. Windsurfing in a calm bay is much more my speed. Thank you for sharing your memories of this beautiful place.